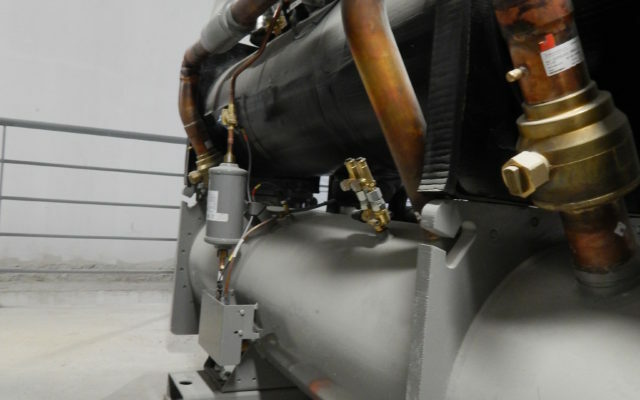 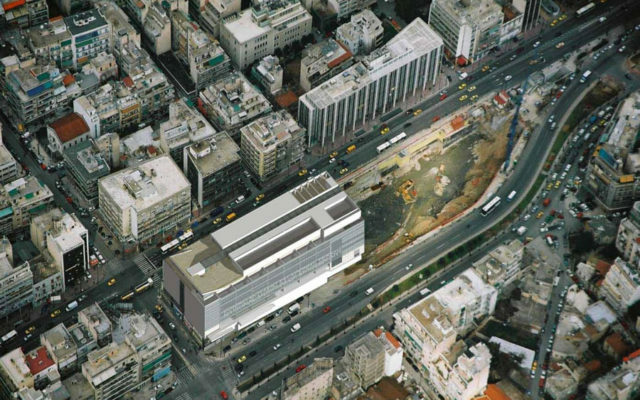 Scope of work: Our company has carried out the selection and successful supply of the Vibration control products in MEP Equipment of the Hellenic Museum of Contemporary Art. 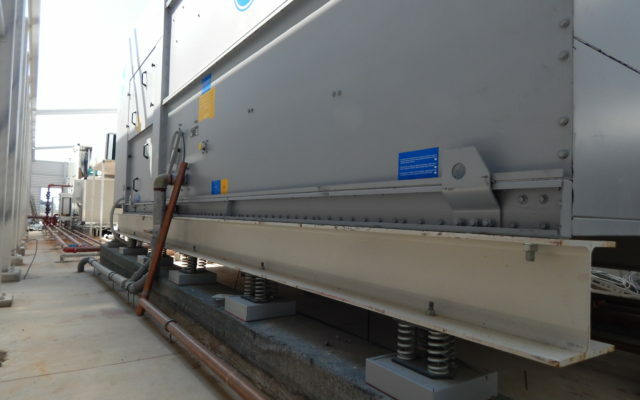 In this project, advanced Vibration control products were designed with the addition of Visco-Damping material Vibro-MSV, which prevent the amplification of the springs. 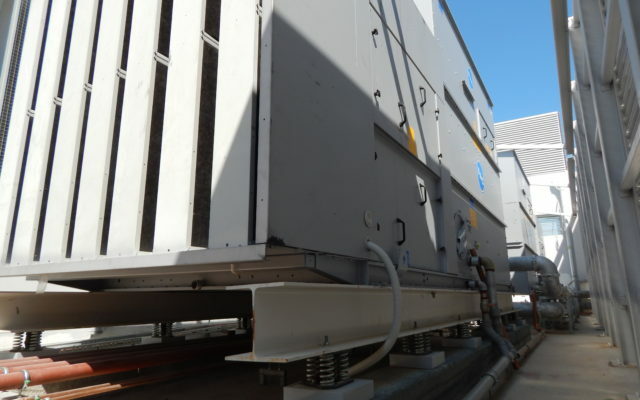 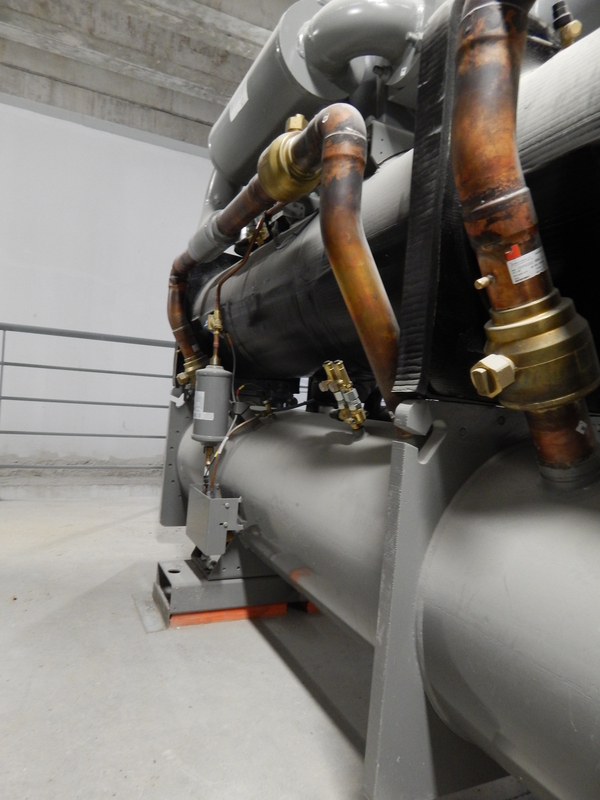 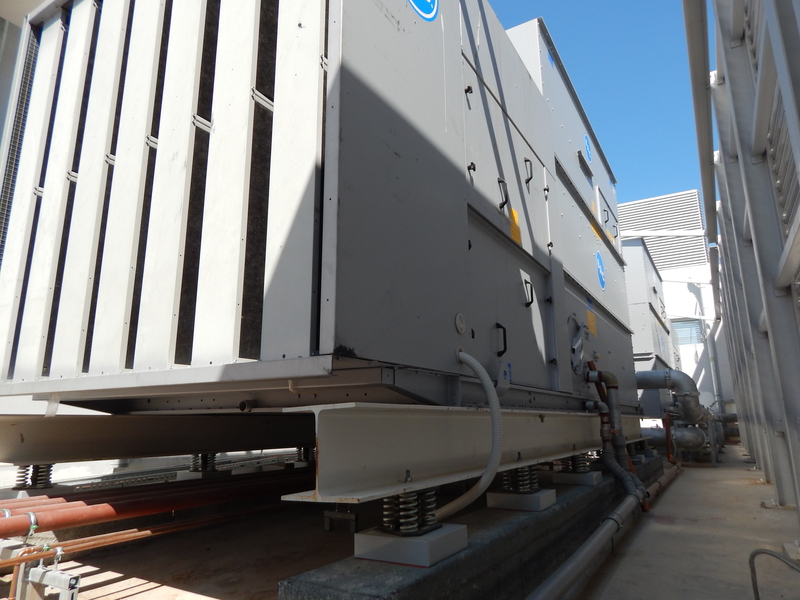 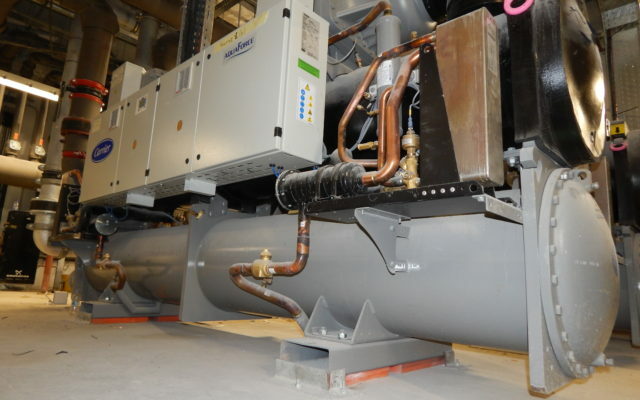 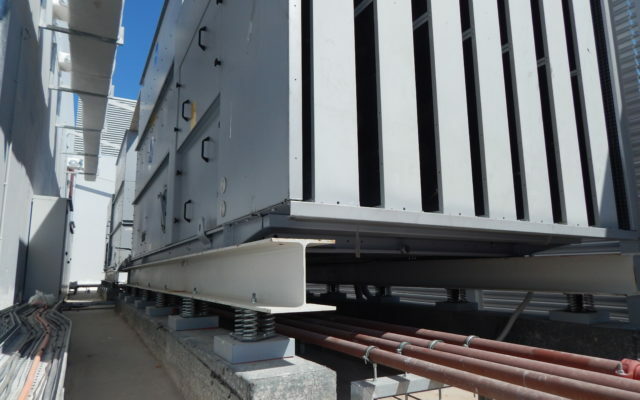 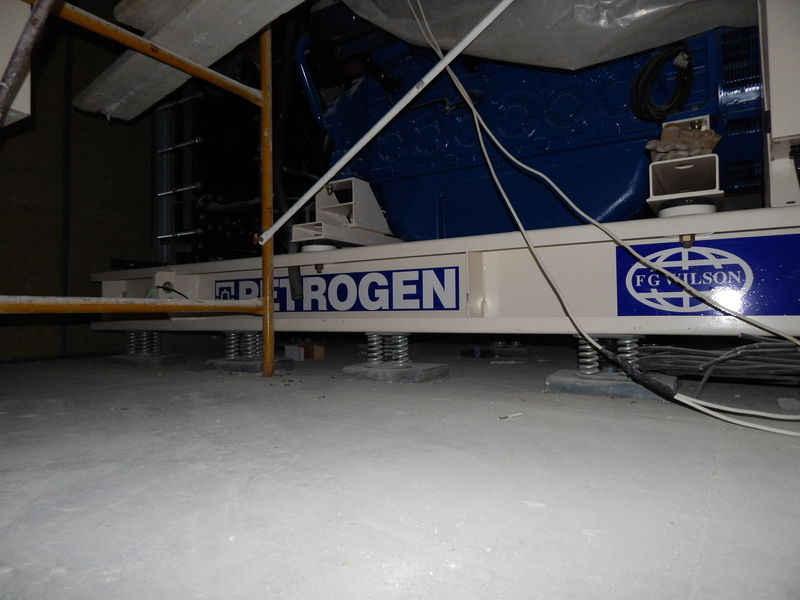 Additionally Spring isolators are equipped with Neoprene acoustical pads on their base and Regufoam was installed at the base of other HVAC units. 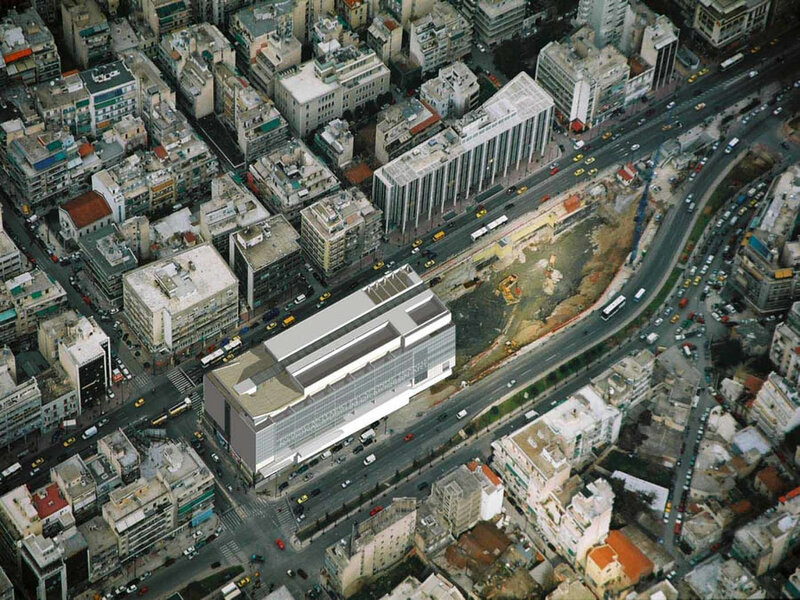 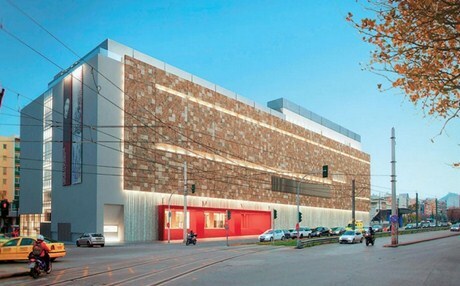 Remarks:The Hellenic Museum of Contemporary Art is one of the most prestigious projects of the recent years. 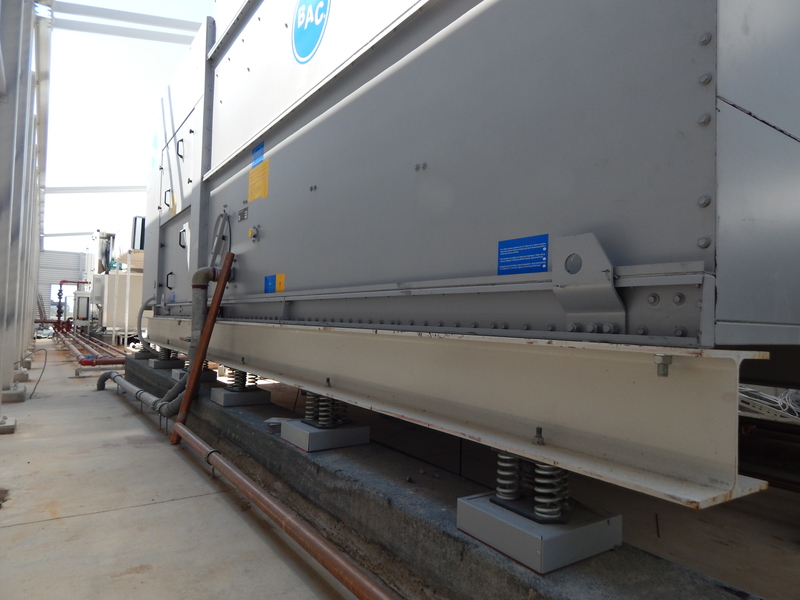 It has been an international standards project with a lot of attention to all levels for this reason the optimum vibration reduction method was used ie viscus damping isolators. 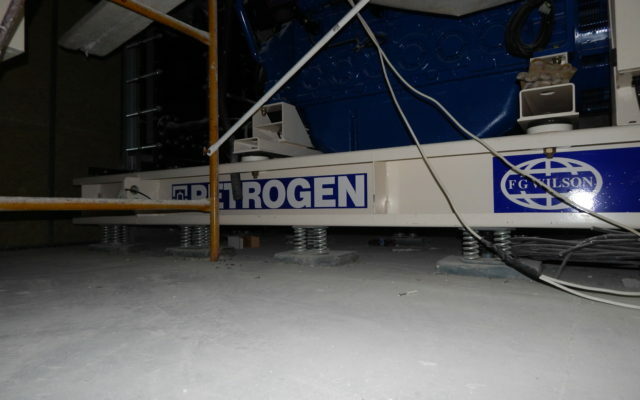 Our technical department carried out Vibration Control calculations in order to select the appropriate vibration control product based on each machine requirements like weight, RPM, distribution of weight, applications sensitivity etc.